Back in October, Burlington's Queen City Brewery hosted its first-annual Steinbier day. German for "stone beer," Steinbiers are brewed in a kettle heated with hot rocks, a practice that faded from prominence in the early 1900s. A few intrepid brewers have sporadically tried to revive the tradition, and Queen City brewer Paul Hale says he and his brewery cofounders have been making the beer — typically home brewed in microbatches — for about 20 years. 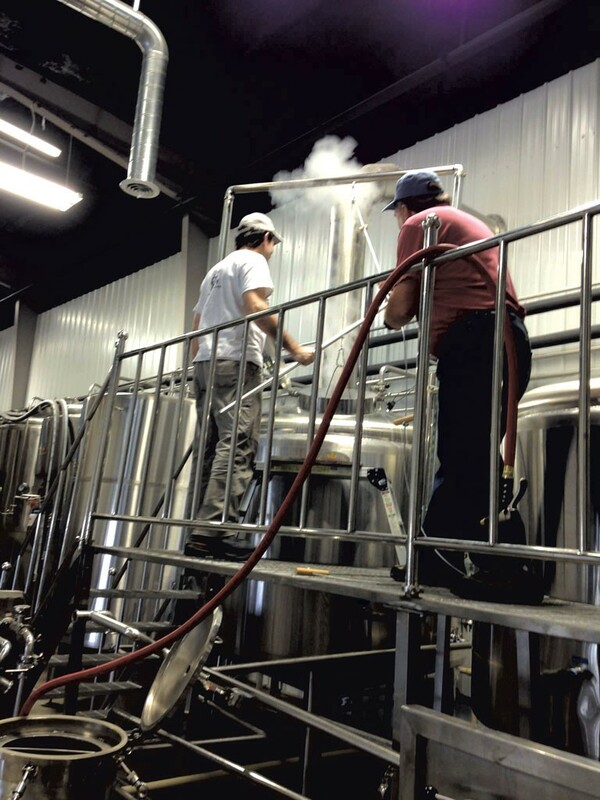 October's brew day brought Steinbier to their production equipment. Since the process is labor intensive — hundreds of pounds of stone is heated in a fire, then lowered into a kettle using metal baskets and pulleys — Hale says Steinbiers rarely see the consumer market. "There really is not commercial German Steinbier anymore," he says. But the October event was a big success, Hale says. While the brewers heated the stones outside over a beechwood fire, visitors took turns lowering the stones into the kettle inside the Pine Street brewery. "It's so hot," Hale says, "that everything starts to foam and froth when the rocks go in. You can smell the smoke and burnt sugars and caramel." After a few days of fermentation and about six weeks of lagering, or cold conditioning in steel tanks, the beer was kegged earlier this week, says Hale. The brewery is holding a release party this Friday, December 5, beginning at 2 p.m. The brew will be available in bumpers, growlers and a limited number of five-gallon kegs; about two-thirds of the batch will go to local bars and restaurants. Hale expects the retail beer to go fast. "It's a really delicate beer," the brewer says. "It's all subtle smoke and caramel ... and great with food." The original print version of this article was headlined "Ancient Brew"